Velux has supplied high quality roof windows for over 60 years. The original Velux roof window is a tried and tested design and I have been installing them to a very high standard since the early 1990s. Installing Velux Roof Windows into your home is a cost-effective way of transforming an otherwise dark area into a light, well ventilated living space. Adding natural light can have a positive impact on the value and feel of your home. The top control bar on these roof windows makes them easy to operate, even with furniture under the window. 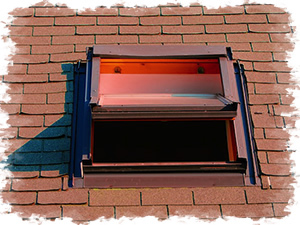 Velux windows are easy to open and are are available in white polyurethane or pine finish. They can be rotated 180º for cleaning and locked in place, leaving both hands free. They can be installed into roofs with a pitch between 15º – 90º. 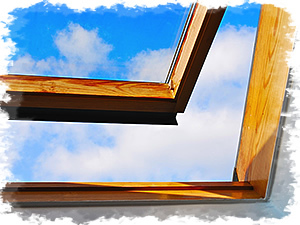 Roof windows can combine modern low maintenance materials with the traditional and authentic appearance where required. A wide range of blinds and sun protection accessories are available. I work quickly and professionally to minimise disruption to your home or workplace, and most Velux windows can be installed in a very short time. Much of the work can done from inside the room, which reduces the complexity and cuts down the time taken. If you’re thinking of having Velux roof windows fitted in the Richmond or South West London area, please contact me today for friendly local advice and a free estimate.